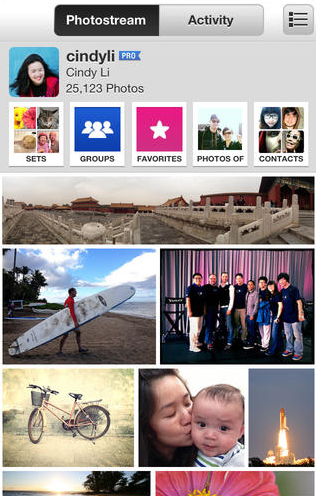 Flickr 2.20 for iOS is now available for download.What’s new in this release? Brand new set of filters. Live filters – Now scroll through and preview the effects of each filter before you snap your shot. Customize your filters to get the exact effects you’re looking for. New camera tools – grids, pinch to zoom, and the ability to lock your focus and exposure points. New free editing tools – Enhance, crop, sharpen, adjust color, use levels, add vignettes and more. camera and editing tools have animated transitions.